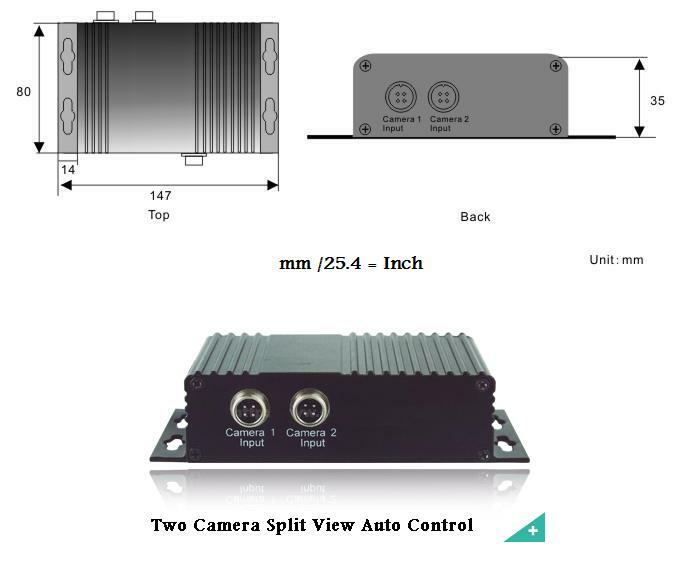 Especially designed for vehicle application. Short time pressing for image mode switches from Camera 1 to Camera 2 to split image. Pressing for 2 seconds to switch TV system from PAL to NTSC under split image. Pressing for 2 seconds to switch Image Mode from Normal to Mirror Image under single image.